Ashley Campbell is becoming a very well known and well respected artist in her own right. 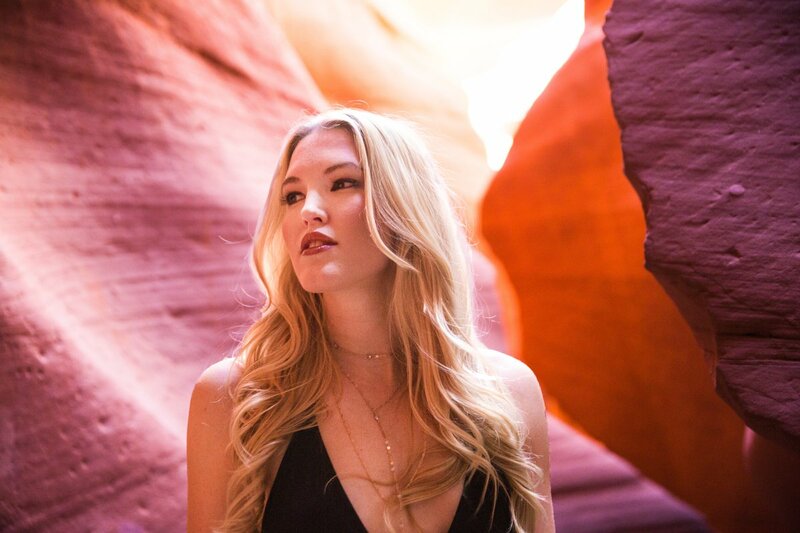 Touring with her late father Glen Campbell for years as a member of his band, Ashley has started to take the music industry by storm with her own material. Ashley returned to C2C Festival this year to play a tribute to her father in the main arena so she and his 20,000 strong fans inside the arena could celebrate his career and life in that moment. We caught up with Ashley the day before C2C Festival to discuss C2C, her album The Lonely One , being on the line up for the new festival in the UK Black Deer and much more. So this is quite a busy week for you, firstly, you will be playing C2C festival which is exciting – you will be playing quite a few shows and different ones at that. You are firstly billed to play the main arena as a tribute to your father? This must be such an honour to honour him and his music this way in front of 20,000 fans who loved him and continue to love his music. Yes definitely, I am so excited to get to play his music and be a part of that show, especially because I had the privilege of doing two UK tours with dad when he was still touring, so playing his music over here is very special to me and his fans over here are very special to me. As well as the main arena, you will be playing some of your own shows on various stages and as I said this is a big week for you because your debut studio album The Lonely One will be released on Friday – how does that feel? Yes it comes out Friday and I am so excited for people to finally hear it. Yes, each of the songs is either directly or loosely inspired by experiences that I have gone through and lessons that I have learned, feelings that I have had – it is a very personal album and I am hoping that people can identify with it. Oh thank you, that is one of my favourites, that one is very personal and the song is very literal. The album is emotionally honest but it also has a comedic moment with Better Boyfriend, a second favourite. Was that song fun to write and did you play around with different verses because I can imagine that this song could have been never ending with so many good ideas and rhymes, puns etc. That was really fun to write, we had a lot of fun thinking of all the silly things that people don’t like about their boyfriends. We kept it pretty concise though but could have played around more for sure. The album has quite a diverse range of music and that includes your current single title track The Lonely One which has sort of a country mexican way about it. What influenced that particular style to this particular song? I call it my Copacabana song. I wanted it to be a real beautiful throw back song. When I wrote the song that day I was really inspired by the feel from Linda Ronstadt’s version of Blue Bayou and that’s kind of what we started with, that feel and vibe and that’s what came out in the song I think. I am so glad you put on an instrumental piece on the album; Ashley and Carl’s Breakdown. Carl I believe is your godfather? Yes, he is my godfather and Carl produced the song and my brother Cal played drums on it. It was really fun, we were able to get Bryan Sutton to play guitar on it – he is one of the most incredible guitar players on the planet and it was a fan girl moment for me to get one of my guitar heroes on the album. I can’t wait to see it live, it is one thing hearing it on record but seeing an instrumental such as Carl and Ashley’s Breakdown live will be a different experience entirely and it is one of those moments that makes you truly appreciate the musical instrument. I have always been a fan of the instrumentals ever since I was little watching my dads shows. His hits were all well and good but what I would run out from backstage to make sure I watched were his instrumentals like when he would play Classical Gas and the William Tell Overture and he would do this big Beach Boys guitar solo medley, so I have always loved instrumental music so I was exited to put one on my album. Tell us about shooting the video for A New Year and are you a keen surfer? I lived for about eight years in Malibu, that’s where I went to Uni and I loved surfing – I just loved being by the beach and California still has a big place in my heart so it was cool to be able to film on the beaches and kind of do a surfer story. I liked the bit especially when you were in the car and threw away the phone when work was calling, that is pretty much everyone’s dream right there, to say “sod it” to the man and drive back to the fun parts of life. Well you have been here a few times now so the UK have grown to know you and we hope coming to the UK will be a regular thing?